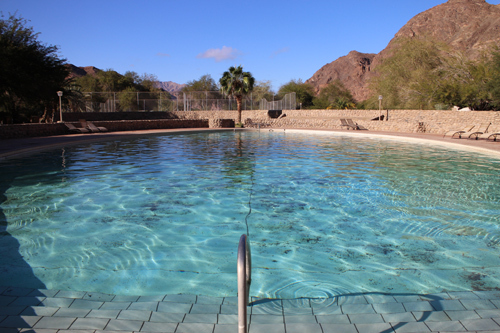 The name Ai Ais means burning water and this is a result of the hot springs that are directly under the resort, originally discovered in 1850 by a sheep herder it locally became known for the waters rapid healing properties in the natural spring that bubbled to the surface, now Ai Ais resort has both outdoor and indoor pools both at a constant warm temperature. 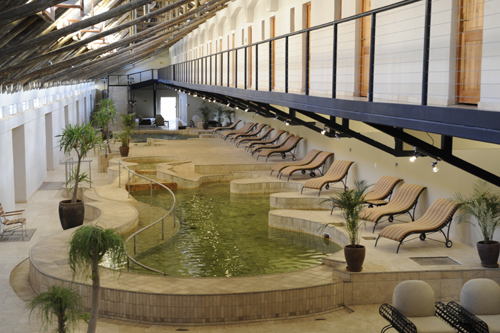 The indoor pools are perfect for easing away those aching joints and the location of Ai Ais at the end of the Fish River Canyon make it a perfect place to end the 4 day canyon hike, where better to rest those tired feet and legs than a thermal healing spring? 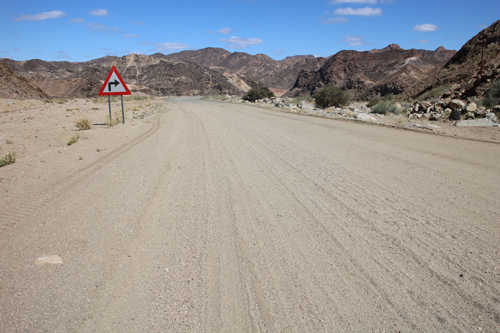 Ai Ais is in the very south of Namibia and has only one road into the resort - the C10 (photo above) which is a gravel road 73km long from the main B1 tar road that runs between Windhoek and the border with South Africa., there are several side routes from the border and Luderitz but these are all on variable gravel routes.